Legends of Tomorrow (LoT) Season 2 Episode 3 (S2E3) Spoilers: Air Date and Promo for ‘Shogun’ Released! 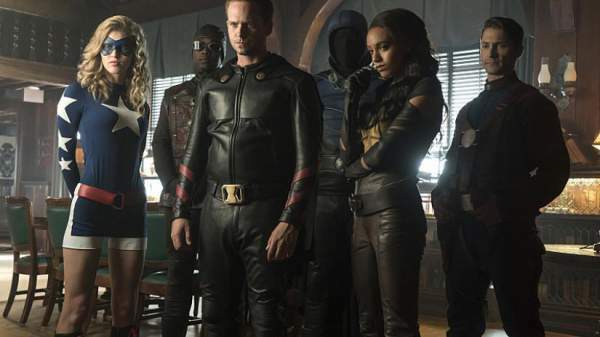 Legends of Tomorrow Season 2 Episode 3 Spoilers, Air Date, Promo, Synopsis 2×3 Updates: This time travel show has and will always keep things exciting for the audience. One of its best things is “anywhere/anytime” mission statement. You have seen the show going back to the age of dinosaurs and in the future way ahead to fight Vandal Savage. Somehow, the team of Legends and Justice Society of America got to visit the Japan in the past. So, we are inherently excited to see what they are doing in that era. Nick will get powers after becoming a victim of an accident and will be known as Citizen Steel. We are expecting some good battles with Rory in the spotlight. See: Arrow Season 5 Episode 4. Getting powers, Nick will be an excellent partner for the team. However, his powers will land him and The Atom. The Atom’s suit will get stolen in a fun adventure in the Feudal Japan. It will mark the small screen debut of the Citizen Steel. The main and another attractive thing about the next chapter will be the whole “secret compartment” thing. It’s because Stein and Jax will decide it to keep as a secret. Why would they do it? It must have something. And, keeping secrets don’t go well down the line. It always leads to tension. LoT S2E3 will air on October 27 on the CW.